Foxconn on Tuesday revealed an internal investigation found the company illegally hired some underage workers as young as 14 years old, and said that immediate measures have been taken to resolve the issue. In a statement provided to CNet, Foxconn said some of the interns working at its Yantai facility in Shandong Province ranged in age from 14 to 16 years old. Those employees were hired illegally, as China's legal minimum working age is 16. Foxconn said the company takes "full responsibility" for the violations. Officials have also apologized to each of the students. The company also vowed to "immediately" terminate any employee who was responsible for the underage hirings. "This is not only a violation of China's labor law, it is also a violation of Foxconn policy and immediate steps have been taken to return the interns in question to their educational institutions," Foxconn's statement reads. "We are also carrying out a full investigation, in cooperation with the respective educational institutions, to determine how this happened and the actions that must be taken by our company to ensure that it can never happen again." 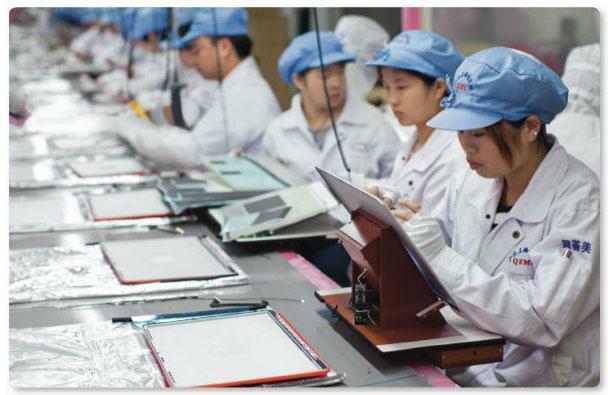 The electronics assembly company was quick to issue a statement after workers' rights advocacy group China Labor Watch published its own press release revealing that Foxconn had hired interns between the ages of 14 and 16 years old. The group said a "small number of student interns employed in the summer" were underage workers. "These underage interns were mainly sent to Foxconn by schools, but Foxconn did not check the IDs of these young interns," China Labor Watch said. "The schools involved in this incident should take primary (responsibility), but Foxconn is also culpable for not confirming the ages of their workers." Foxconn is responsible for the assembly of electronics for a number of companies, but its relationship with Apple has come under particular scrutiny as Apple's popular iPhone and iPad have made the company the largest in the world by market capitalization. Apple conducts its own annual audits of its overseas suppliers, and in 2011 it found that one facility had employed 42 underage workers. Business with that provider was immediately terminated. A report published earlier this year found no evidence of underage labor in 229 audits. But in February, some Foxconn workers claimed that their company had hidden underage employees before an independent audit was conducted by the Fair Labor Association. The workers were allegedly transferred to other departments or were not scheduled to work overtime in order to avoid discovery during recent inspections, the non-governmental organization Students & Scholars Against Corporate Misbehavior claimed. 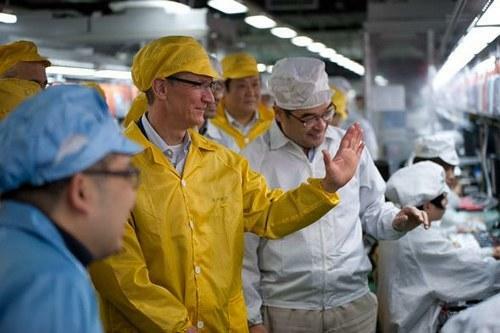 Apple Chief Executive Tim Cook personally visited a new Foxconn iPhone plant during a trip to Zhengzhou, China, in March. Foxconn employs 120,000 people at the facility visited by Cook.